The Culture Entrepeneurship Foundation encourages artists, creatives and cultural organizations in entrepeneurship in different disciplines and promotes creativity in other sectors like business and CSO. They issue a Magazine by the name of HeART & Society that is aiming to build bridges between creativity, artistry and entrepeneurship. In a changing (online) environment of artists, entrepeneurs and readers, the editors chose to publish their magazine in a web-app. 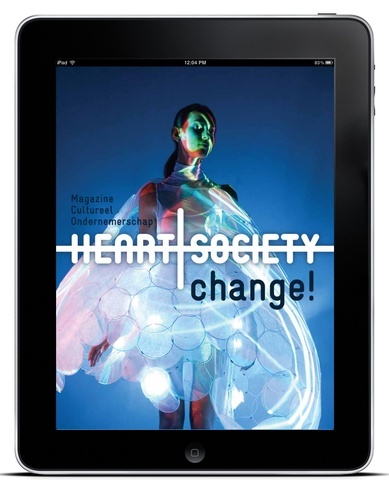 The last edition of HeART & Society, being the first one you can read in the web-app, is about the changes in the world of art around us. It brings art and technology very close together.